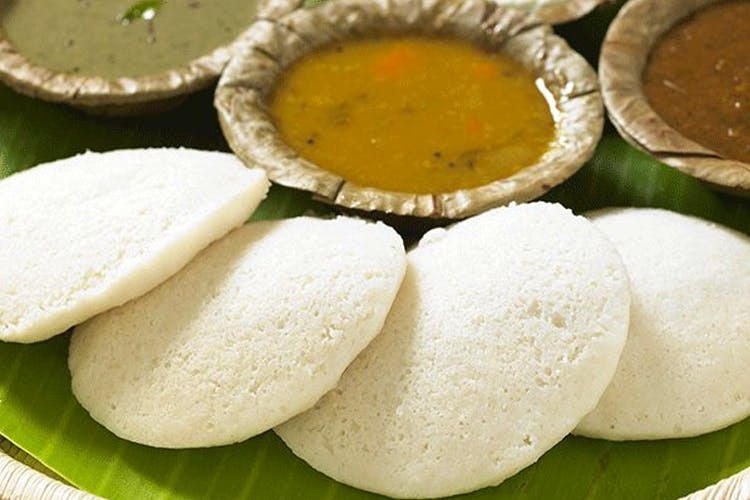 Oh yes, Chennai's famed idly shop with its onion uthappam and podi idly is a lot closer to home than you think. The new outlet in Krishnagiri is just a road trip away. Just under two hours is all it takes you to dig into podi idlis and dunk uthappams in copious amounts of chutney and sambhar. If you map it, Krishnagiri isn't all too far. It's definitely better than going to Whitefield any day. Be it for breakfast, lunch or even late evening snack, we are definitely going for a round of crunchy but soft podi idlis that's ghee-soaked to goodness. Of course, onion uthappam is bae and are so are the wafer-thin dosas. Ghee pongal is on the menu too guys! BUt for lunch keep it simple with rice options including lemon, tomato, and everyone's favourite curd rice. Wash it all down or start your meal with tumblers of frothy filter coffee. We suggest you carry a flask and bring some back to Bangalore. And share with us maybe? Since Krishnagiri is a good road trip away from Bangalore, we suggest hitting up these hilltop temples in Hosur. It's on the way. Or you could do a staycation at this golf resort.